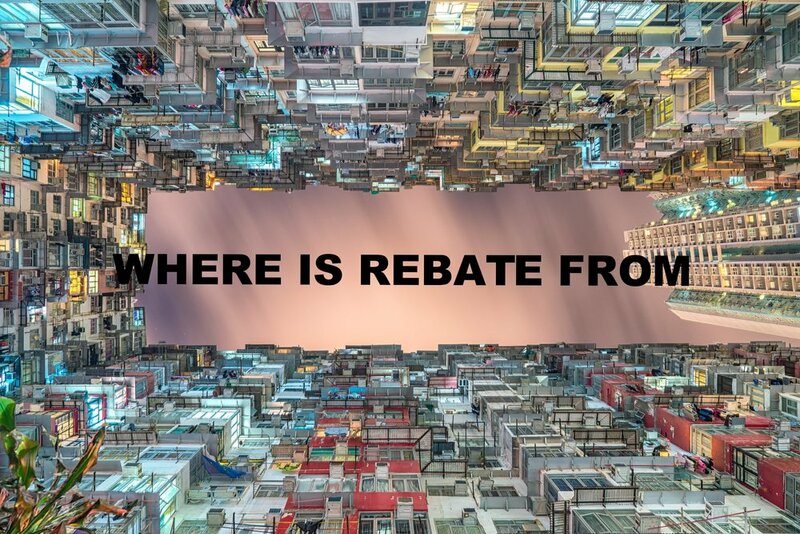 HOW DOES THE BUYER RECEIVE THE REBATE? (1) For cash offer, refund all rebate to the buyer at closing. We generally don't need consent from any third party to do so. (2) For financed offer, use the rebate to reduce closing cost at closing. (3) For financed offer, use the rebate to reduce purchase price of the property at closing, with the seller's consent. We will add such request as an addendum in the offer to the seller. (4) For financed offer, use the rebate to reduce loan principal amount at closing, with the lender's consent. Please check with your lender. We can also provide a list of well-known banks that allow us to do so. (5) For financed offer, send the rebate check to the buyer after and outside closing, with the lender's consent. Please check with your lender. We need an explicit approval letter from your lender to do so. This is our most popular program for buyers. For each offer, the buyer pays Olaie a $168 offer writing fee to prepare an offer. The buyer can submit unlimited offers to unlimited sellers for unlimited properties for any amount of time until the buyer successfully closes a property. When THE buyer successfully closes one property, we refund to THE buyer: (1) all of the offer writing fees paid by THE buyer; and （2）THE amount of the buyer agent's commission that is higher than the lesser between 1% of the sale price and $10,000. We do not limit the length of time a buyer can make an offer (six months, one year, two years, or even longer) that you successfully close a property through us. （1） The sale price is $1.5 million and the buyer agent's commission is 3% ($45,000). Our rebate to the buyer is : (1) all of the offer writing fees paid by the buyer, i.e., $1,680; and (2) the amount of the buyer agent's commission that is higher than the lesser between $10,000 and 1% of $1.5M ($15,000), i.e., $10,000, which is $45,000-$10,000 = $35,000. The total rebate to the buyer is: $1,680 + $35,000 = $36,680. （2） The sale price is $250,000 and the buyer agent's commission is 3% ($7,500). Our rebate to to buyer is : (1) all of the offer writing fees paid by the buyer, i.e., $1,680; and (2) the amount of the buyer agent's commission that is higher than the lesser between $10,000 and 1% of $250,000 ($2,500), i.e., $2,500, which is $7,500-$2,500 = $5,000. The total rebate to the buyer is: $1,680 + $5,000 = $6,680. We make the deal even sweeter! check our promotion to waive THE $168 offer writing fee. The rebate comes from the buyer's agent commission paid to Olaie by the seller. On the closing date, the buyer pays the purchase price to the seller. The seller/listing agent pays a certain percentage of the purchase price to the buyer's agent as the buyer agent's commission. Although the seller pays the buyer agent's commission, this commission is part of the purchase price paid by the buyer. We just refund a portion of the buyer's money back to the buyer. There is no set rule on the percentage of the buyer's agent commission, but it is typically 3% of the purchase price. However, such percentage can be lower, such as 2% or 2.5%. After you submit the Contact Form, we will let you know the buyer's agent commission along with the seller's disclosure document. Before we write an offer, the buyer will receive information on the buyer agent's commission paid by the seller and select a Pricing Plan. Your Rebate = Buyer Agent's Commission - Your Selected Pricing Plan. Thus, the buyer can calculate the rebate amount in advance and select the pricing plan based on the buying strategy. After the buyer's offer is accepted, we will immediately email you the form detailing the exact number of your rebate. You can present our form to the lender to adjust the loan and the closing cost. At the closing, the closing agent will allocate our rebate to you per our instruction. For cash offers, we usually refund the excess rebate to the buyer, which means you will receive a BIG CREDIT AT CLOSING. For financed offers, unless the lender agrees, we cannot send the rebate check outside closing. Thus, we will use our rebate to buy points to lower your loan rate, pay off a portion of your loan principal, or request the seller to reduce the final sale price by using our rebate. Please be aware that some banks allow to use our rebate to lower loan principal and some do not. Please contact us if you need referral for banks.